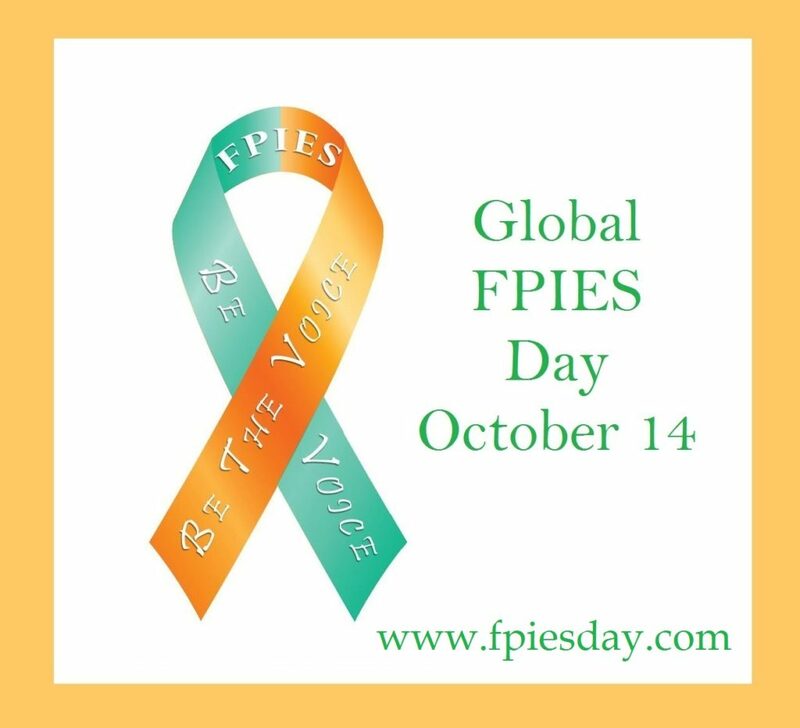 This year we will be celebrating the third annual Global FPIES Day on October 14th. Once again we are encouraging you to find your 14! Reach out to friends, family, or community members and get involved this Global FPIES Day with one or more of these 14 suggestions. #1. Create a “Be The Voice” picture frame. Click here for details on how to download and create your frame. Then share it on your favorite social media site and invite 14 friends or family members outside the FPIES community to make one as well in honor of your little one. #2. Create and display a FPIES awareness ribbon. printable ribbon templates here (one flat and one 3D). Print one out for each family member and let everyone decorate them in orange and teal. use the stencil to paint a FPIES awareness ribbon on a t-shirt, tote bag, notebook, or whatever you like! Make a perler bead awareness ribbon. 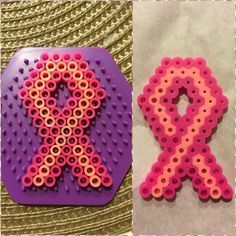 You can see an example of a perler bead awareness ribbon here and a template for another version here. Just switch up the colors to create your own FPIES ribbon. When completed, these ribbons can be attached to keychains, necklaces, or just displayed as is. 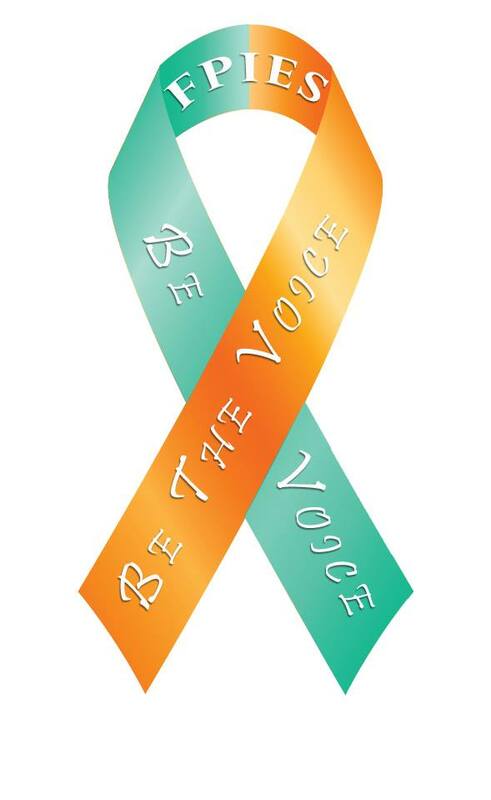 Make a larger awareness ribbon or wreath that can hang on your front door. You can find some beautiful examples by typing “awareness ribbon door hanger” into a search on Pinterest. #3. Cook or bake one of your child’s favorite FPIES friendly snacks. Take some time today to make one of your child’s favorite recipes and then share it with 14 friends or family members. 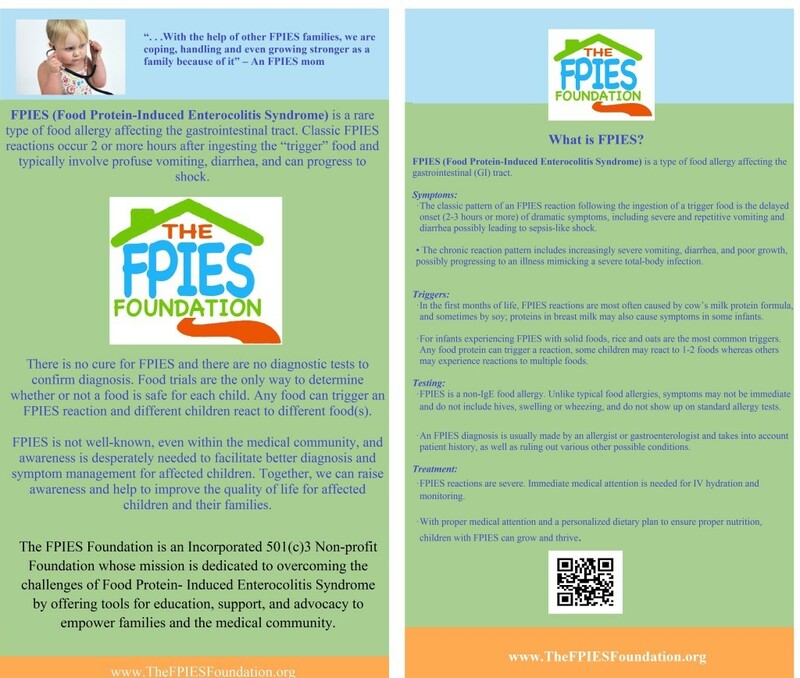 Including a FPIES awareness card or flyer with each snack can be a great way to share FPIES information. #4. Wear Global FPIES Day awareness gear. You can purchase Global FPIES Day clothing and accessories from CafePress.com. Proceeds from the profits of these products go to the FPIES Foundation, so just making a purchase helps our efforts to advocate for FPIES families. You could also make your own FPIES gear (check out #2 for some ideas). However you get your gear, though, be sure to wear it proudly on the 14th! #5. Share the Global FPIES Day button on your blog and social media sites. This is a great way for partners and medical professionals, as well as families, to get involved. Just click here to get the html code that can be added to your blog or favorite social media site. If you have a child who suffers from FPIES, be sure to share your own inspirational story along with the button. #6. Share FPIES educational materials with others. Global FPIES Day is the perfect time to help your friends and family members better understand FPIES and how it effects your child and family. There are lots of great materials available at fpiesday.com. Take some time to go through the site and pick out a few materials that you can send to 14 friends or family via social media, an email, or a letter. #7. Start a conversation for FPIES awareness. 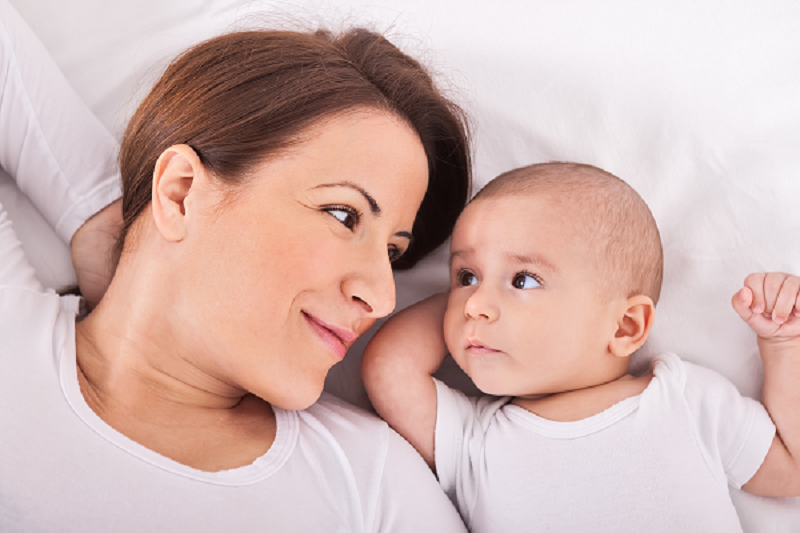 Get in touch with a local parent group, breastfeeding support group, school, etc. and discuss the possibility of speaking with the group about FPIES. Be sure to let them know whether you are a medical professional or a parent who can speak about your personal experience. Be sure to check out the resources on our site about starting the conversation. #8. Share posts made by The FPIES Foundation on Facebook and Twitter. If you haven’t already, like or follow us on Facebook and Twitter. Then check out some of our recent posts and share a few with at least 14 people. #9. Connect with 14 other families in the FPIES community. You know firsthand what it is like to live with FPIES. Take some time today to reach out to 14 other families in the FPIES community and share a few words of support and encouragement. That might be as simple as a phone call or a message on social media, but just let them know that they’re not alone. #10. Send 14 thank you notes. Reach out to 14 people who have touched the lives of your family and helped you along your FPIES journey. Whether you send them an email, give them a call, or just send a quick note through social media, take time to say thank you for their support. #11. Share the medical provider packet of FPIES educational materials. If you are a parent of a child with FPIES, there’s a good chance that you struggled to find a doctor who could correctly diagnosis your little one’s condition. 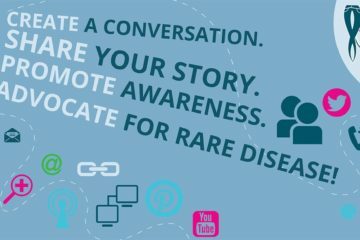 Help current and future FPIES families by reaching out to 14 medical providers and sharing the educational materials listed on fpiesday.com. If you are a medical provider, Global FPIES Day is an excellent opportunity to learn more about this condition. Check out these 14 articles for professional education and development. #12. Share the FPIES information packet for schools and day cares. You can find information about spreading awareness to schools by visiting our website and clicking on the “Schools” tab. The information packet provides excellent resources to educate school and daycare employees. #13. Promote the FPIES Foundation’s YouTube videos. Subscribe to our channel on YouTube and then select one or two of our videos to share on your social media pages. Just be sure to share with at least 14 people! #14. Support fundraisers and awareness events for The FPIES Foundation. You can watch for upcoming events on our website and Facebook page. If there is an upcoming event in your area, invite 14 people to come out and support our efforts to educate and advocate for FPIES families. How will you find your 14 this Global FPIES Day?